Stanley Chepaitis' passion for jazz began when he as a teenager, performing in the clubs of the New York Catskill Mountains. Here Joe Cordato, his friend's father, offered the young Stanley a life changing experience - he introduced Stanley to the music of Joe Venuti. Years later in Rochester, Stanley walked up to Venuti and told the jazz legend "I wanna be just like you" to which Venuti responded "Let's see what you've got." At Venuti's request, Stanley sat in with the band that night, and for the next two weeks of the tour. Here, Stanley learned the love and sound of jazz. When Stanley first arrived at the Eastman Conservatory of Music, he didn't read music. Recognizing his talent, Carroll Glenn encouraged him to study classical violin and after two years, Stanley traveled to Connecticut, winning an audition to play in the Hartford Symphony. He also attended Hart College of Music as a student of Renato Bonacini, receiving his bachelors degree, and then returned to Eastman to further his classical education under violinist John Celentano, and to study improvisation with Bill Dobbins. While teaching at Rochester's Hochstein School of Music, Stanley met saxophonist John Vitali and later, when appointed to a one year faculty position at Allegheny College, he learned from fellow faculty Floyd Williams, drummer for Duke Ellington. After performing in a Suzuki Institute in Michigan, he met pianist Tony Caramia, and soon he became a member of Caramia's "dream group". With each new experience, Stanley immersed himself in the language and vocabulary of jazz - studying, listening, performing. Stanley won the position of concert master with the Arkansas Symphony, where he played in local jazz clubs in Little Rock, and the desire to pen his own compositions began. By now, he had created his own crossover style in composition, and he was continuing to merge his violin expertise with his love of jazz creating works for violin, string quartet, violin and piano duo, and other combinations. In later years his string quartet Child's Play would win second prize in a national contest, the MTNA Distinguished Composer Competition. He has premiered his own music at the Pleshakov Music Center in Hudson, NY, the University of Wisconsin, Bucknell University and composed the score to his own ballet "Eyes of Notre Dame". While achieving recognition as a violinist and composer, Stanley also felt a passion for conducting. With presenting youth events a specialty, he has conducted youth concerts with the Arkansas Symphony, numerous college orchestras, and district and regional orchestras in the Mid Atlantic, Mid West, and North West regions of the country. Additionally, he has conducted operas by Mozart (The Impressario), Menotti (The Telephone), Tchaikovsky's Nutcracker, and Mikado by Gilbert & Sullivan. His international performances include engagements at the Academy of Music in Zagreb, Croatia, the Academy of Music in Ljubljana, Slovenia, and a special jazz program for an audience of German music teachers at the Hoechschule in Hanover, Germany. In the states, Stanley has presented concerts at the Eastman School's Kilbourne Hall, Carnegie Mellon University, and the Krannert Center, in Champagne, Illinois. 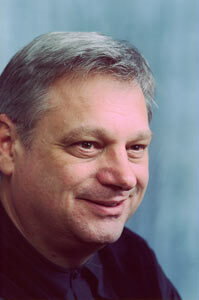 Continuing to create artistic opportunities, Stanley is a founding member of the Litton Quartet and the Gorell Trio. He organizes regular performances of jazz, baroque, and classical music, often combining these genres in unusual new works. 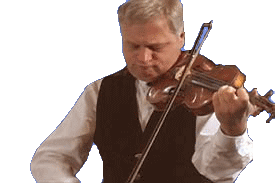 Stanley has taught on the faculties of Central Michigan University, Allegheny College, Hendricks College, and Indiana University of Pennsylvania where he is currently Chair of the String Department. He lives with his wife, Swana, and two children in rural Pennsylvania where he also tends a thriving organic garden.